we are guaranteed water for at least one harvest"
Initiated in 2014 by the Foundation and supported by the Sir Ratan Tata Trust, Neer Sinchina is a program that helps farmers engage in sustainable agricultural practices involving rainwater harvesting and conservation. This program has been especially helpful in facilitating irrigation in drought-prone areas with erratic rainfall. By improving access to water, farmers can now cultivate more than one crop a year thereby increasing their revenue by 50%. 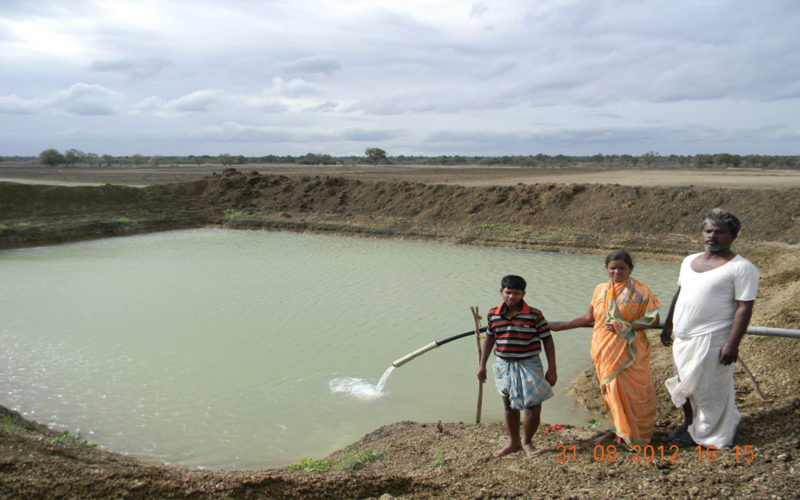 Since 2014, the program has rapidly scaled and we have created more than a thousand farm ponds that have impacted 9,000 lives. Agriculture is an engine of pro-poor economic growth in rural areas and it has always been a focus area of the work at the Foundation. 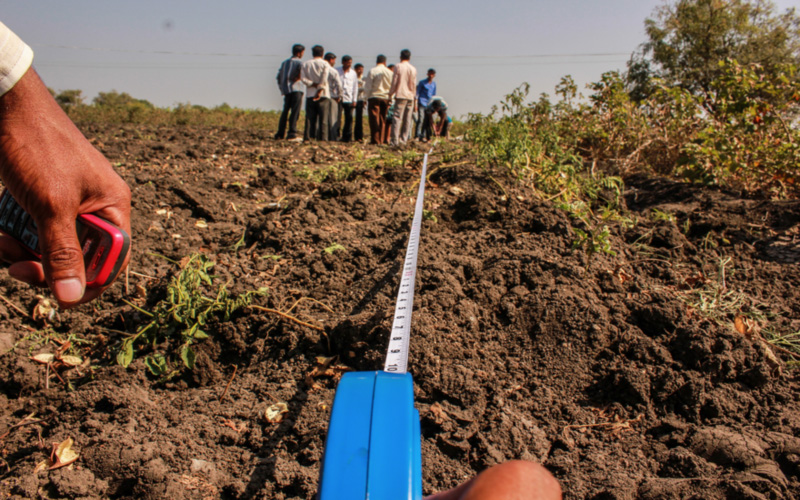 We organize panels to share innovative and sustainable farming and create next generation leaders with strong agricultural skills through the Susandhi Krishi Chetana fellowship. Growth in agriculture is at least twice as effective in reducing poverty than any other sector in India. 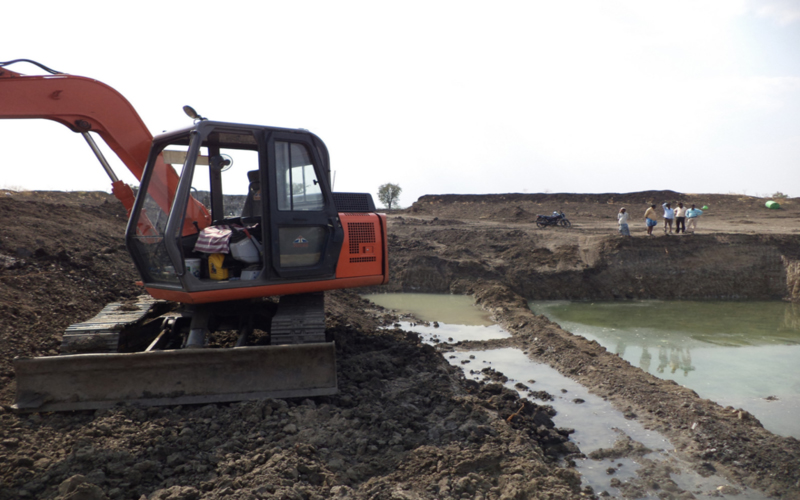 Farm Pond initiative not only help farmers fight drought, but also enables their own agricultural extension by providing access to the skills, tools, inputs and knowledge they need to thrive. Once chosen, the Farm Pond program team visits the self-help groups (SHGs) to provide technical support. The team also offers trainings to farmers on the crops they can grow and shares best cultivation practices. Once the crops are ready for harvest, farmers are supported with an array of networks and buyers. This ensures the exemption of middle men and better value for the crops.